Ensure a stable TV picture with ASD UK Ltd. We’re experts based in Fleet, Hampshire, and offer a great range of satellite and aerial repair options that give you back your favourite shows. Call us in to find the root cause of your picture problems. We perform efficient repairs that let you see your shows as they were always meant to look. 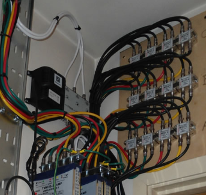 Loose connections are no problem for ASD UK Ltd. Amplifier systems are a great way to increase your signal quality, and our experts install them fast. Make storm damage a thing of the past with us. We replace faulty brackets so that your aerial or satellite stays solid. What’s more, we perform repairs on behalf of insurance companies, so come to us as part of your claim. Contact ASD UK Ltd for expert TV aerial repairs that boost your picture quality fast.